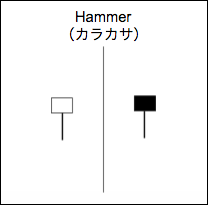 *3:A big difference between the bar charts common in North America and the Japanese candlestick line is the relationship between opening and closing prices. We place more emphasis on the progression of today's closing price from yesterday's close. In Japan, chartists are more interested in the relationship between the closing price and the opening price of the same trading day. *4:In both charts you can see the overall trend of the stock price; however, you can see how much easier looking at the change in body color of the candlestick chart is for interpreting the day-to-day sentiment. 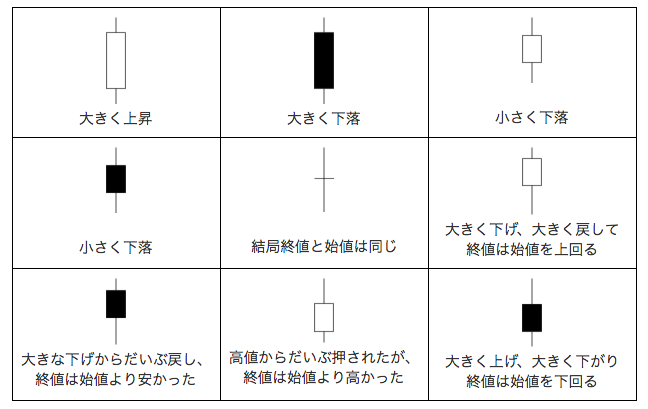 *6:Not all candlestick patterns work equally well. Their huge popularity has lowered reliability because they’ve been deconstructed by hedge funds and their algorithms. These well-funded players rely on lightning speed execution to trade against retail and traditional fund managers who execute technical analysis strategies found in popular texts. In other words, they use software to trap participants looking for the high odds bullish or bearish outcomes. However, reliable patterns continue to appear, allowing short- and long-term profit opportunities.